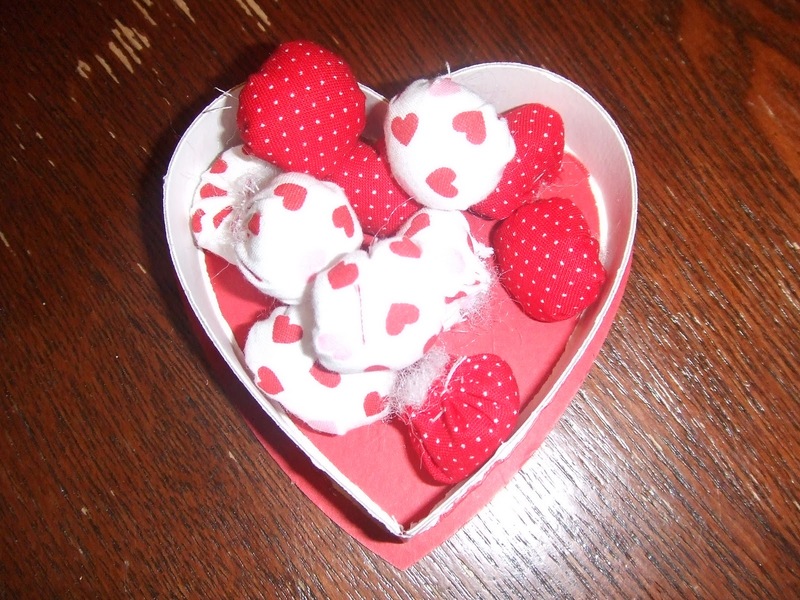 Women on a Mission: Mom Edition: CRAFTY VALENTINE DECOR! With wild and crazy toddlers running around the place these days, it’s hard to decorate on a grand scale for holidays. Still, Lori and I do like to have a little décor nod to each holiday as it comes. For us, nothing says holiday decorations better than HOMEMADE, CRAFTY and THRIFTY! One of the blogs we follow is Sutton Grace; the site always has great home décor ideas. Hanging off the mantle in her February 5, 2010, Valentine’s post was a ‘Love’ banner. Easy peasy, I thought. I set about cutting out the letters ‘L’ ‘O’ ‘V’ and ‘E’ from the same red felt I used for the big Valentine envelopes I made for the girls. After a few tries, I was satisfied with the look of my letters (measure twice, cut once friends! ), then cut 2 pieces of each letter. I glued the pieces together with Elmer’s glue – this ended up causing me grief later, though. I did decorative white stitching around the edges of each letter, and because the glue had dried all the way around the edges, it was much tougher to pull the needle through than if it had just been the 2 layers of felt. I recommend gluing the pieces together in the middle of the letter, then leaving the edges glue-free for decorative stitching later. OPTIONAL STEP: Instead of gluing the pieces together, you can stuff them so they become puffy. I opted not to do this for mine. For the hanging string, I maximized my crocheting skills. Pretty much all I can do is the chain stitch, but since that worked perfectly here, a crocheted hanging string it is! I used white yarn I already had around the house. Pretty much anything you’ve got lying around – ribbon, raffia, string, yarn – can be used for the hanging string. I clipped the letters onto my string with paper binder clips so I could make sure the spacing is right, then hand sewed each letter onto the string. And DONE! SUPER CUTE, and NO COST since I used stuff from around the house and previous craft projects. 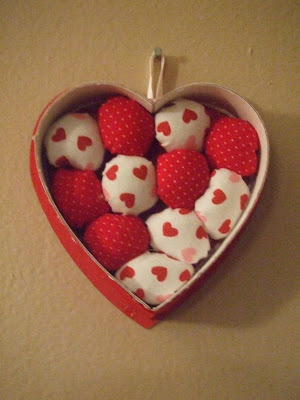 Lori’s craft for home décor is puffy, crafty home-made wall heart and this is all she had to do! Who doesn’t love a box of heart chocolates—even better when you can make a craft out of the chocolate box! Can you believe it? This craft came courtesy of Crafty G-Ma (Lori’s Mom). 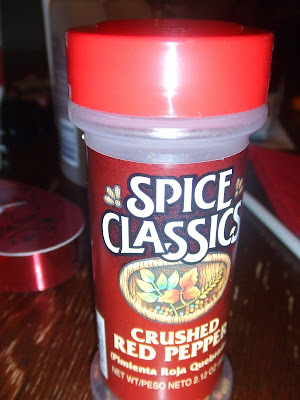 For me, it cost just over two dollars! THAT’S RIGHT...I had all the supplies with the exception of the batting (which I assure you will be used for future craft projects)! But if you need to purchase your own supplies, it would cost little to nothing. 1. A leftover chocolate heart box (keep in mind, one box equals two craft projects). Also, you pick the size of box! 2. 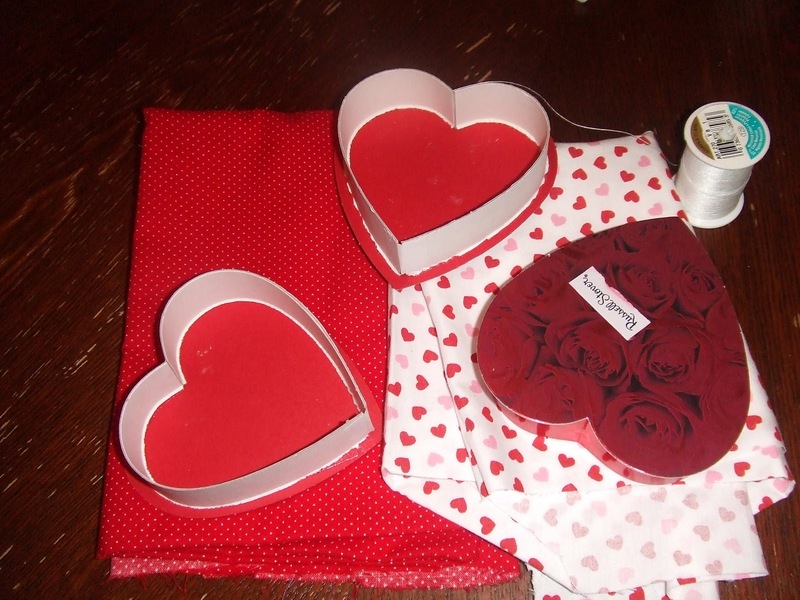 Two coordinating valentine fabrics (really any red, white, and pink fabric will do). Choose between hearts, plaids, and polka dots. Look in your fabric stash—no need to buy! 4. Thread—any color will do. The thread is concealed. Heart box and fabric used for my valentine. First off, you will need to cut the circles. You will need to consider the size of the heart box. Trace the circles and cut. The cap is the PERFECT size. Next, you will want to hand sew a basting stitch about a ¼ inch from the end of the fabric. I prefer the no-knotting method. Simply thread both ends of the thread through the needle and go through the loop. 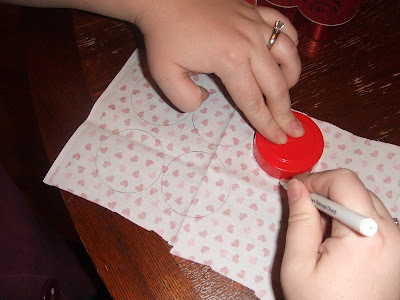 Once you have gone around the circle, you will want to draw the thread up and create a pouch/pillow. Fill with stuffing until full, pull the thread tight, knot, and cut the access thread off. Repeat this step until all circles are complete. 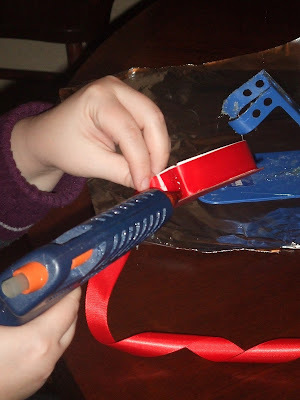 Using hot glue or tacky craft glue, secure the mini pillows in place. You can arrange the colors according to your preference. Now you will want to secure your wider ribbon to the outside edge of the heart box. Apply the glue sparingly. (Optional: You can also apply lace to the edge of the heart depending on your style preference). 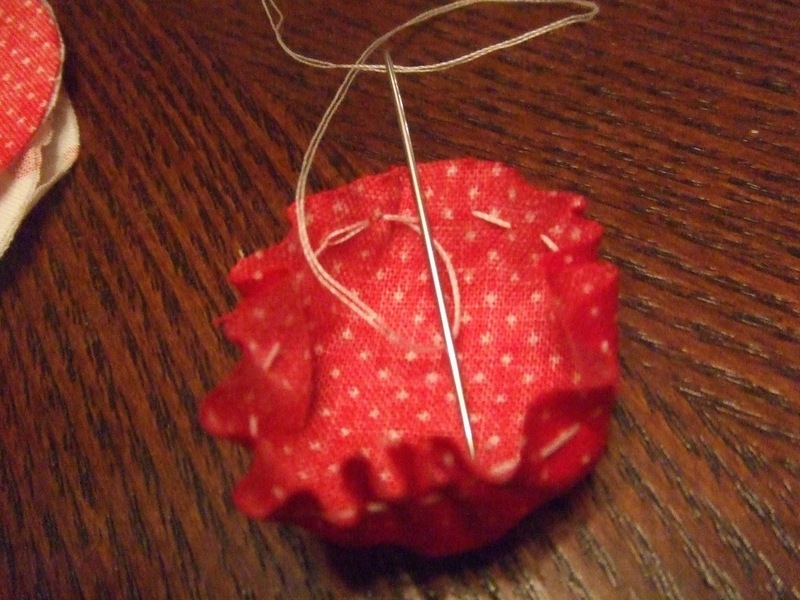 Last step: use a small piece of ribbon to create a loop on the back of the heart so that it can be hung on the wall. You can also use a pop can top or a magnet (if you would like to hang the heart on the fridge). Adorable, Simple, and Affordable! Happy V-Day! VOILA! You now have an affordable, adorable craft. A little bit of heart décor can go along way! ENJOY!